Get Outside is a Toronto-based retail store that offers a wide selection of fashion-forward name brand footwear. 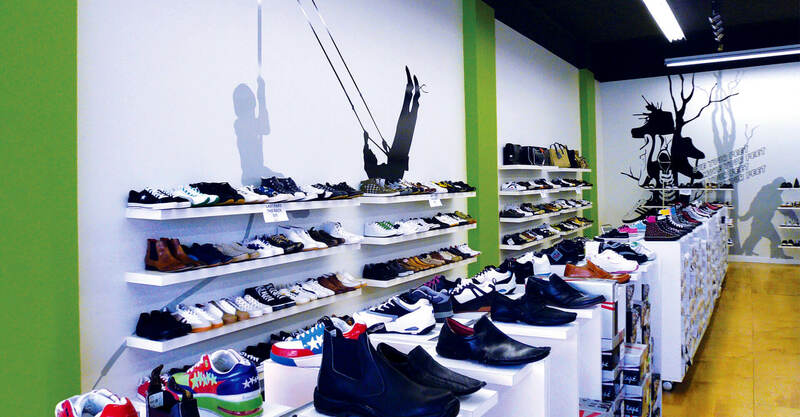 They had established a very successful flagship store in the trendy Queen St. West area but were looking to open an uptown location that offered the same selection of shoes to a wider audience. They enlisted our help to develop the signage and interior graphics for the store in a fashion that was consistent with the store’s irreverent personality. 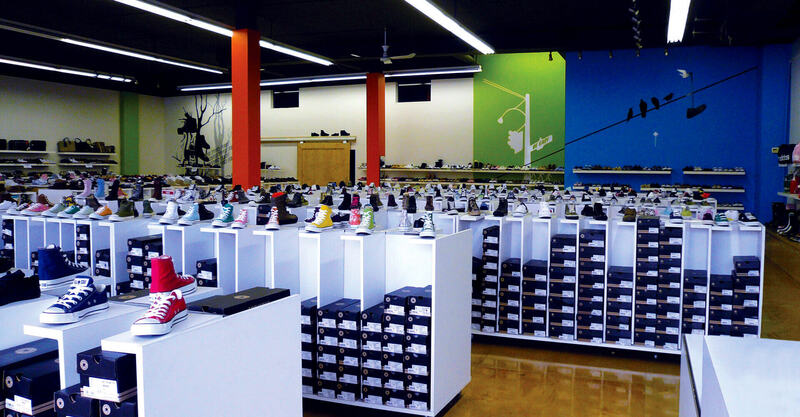 They needed to quickly get the store up and running so they could assess the location and its potential before investing in a more permanent installation. We developed an exterior sign that uses a stretched vinyl over metal framing with an illuminated logo. 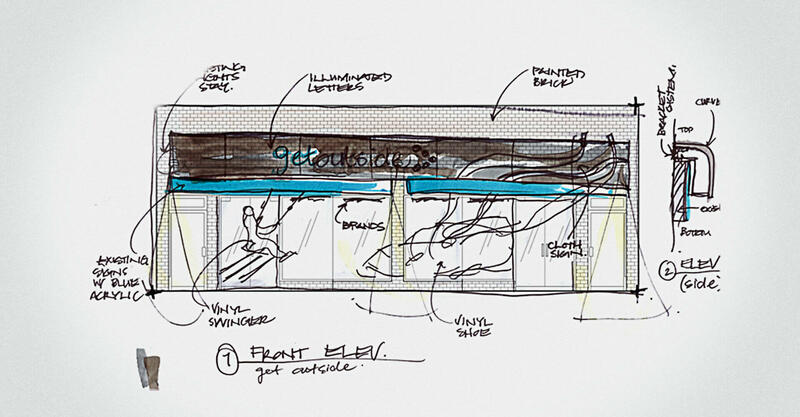 A graphic of a shoelace extends off of the signage and onto the storefront glazing creating a subtle layered effect. 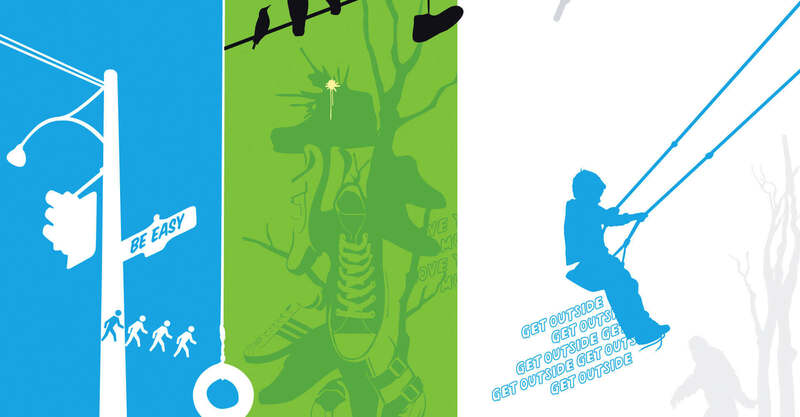 Vinyl window graphics feature a silhouetted child in motion on a swing, reflecting the playfulness of the brand. In the interior, we employed a combination of neutral colours and bold blues and greens to bring life to the space and to keep in suit with the brand personality. We created flooring made from 4’ x 8’ sheets of plywood that were fastened with decorative screws and sealed with a marine grade finish. 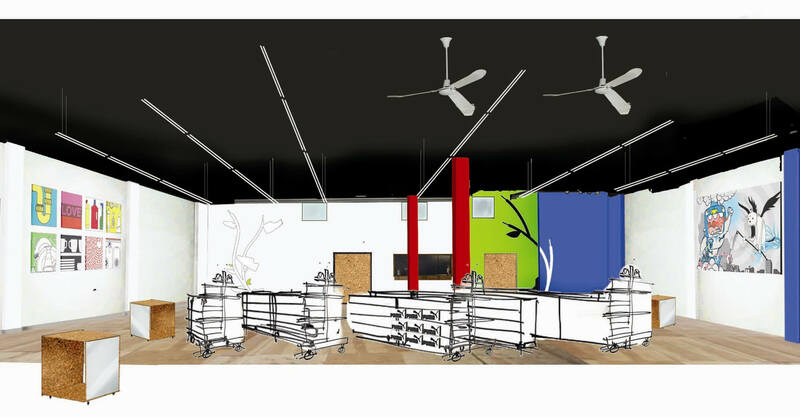 It was an idea that would fit with the initial store concept but could also serve as the sub-floor for a future design expansion. 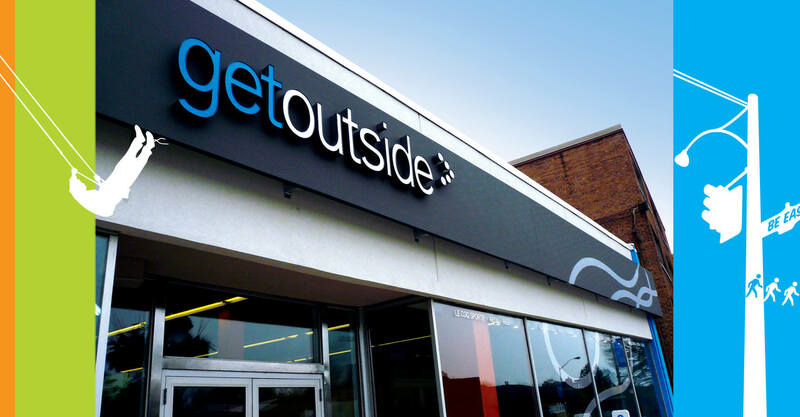 The store proved to be a success and became an important contributor to Get Outside’s revenue stream.